Well, no. Kipling got it wrong. The East and the West have been meeting for a long time. For most of the last few hundred years, the traffic has been mainly one way. The West has had a major impact on the East. India felt the full force of British imperialism with the British East India Company and the British Raj. Japan fell in love with German culture — especially military culture — after the Meiji restoration. The French colonization of Vietnam drew it inexorably into the Vietnam War. Economy moves at the speed of money. Philosophy moves at the speed of ideas, which is somewhat slower. But the story is similar. In the last 150 years, Western philosophy has made a major impact on the East. The British Raj brought German Idealism — or at least the British take on it — to 19th and early 20th century Indian philosophy. The Japanese Kyoto school absorbed influences from Bergson, James, and — above all — Heidegger. And the influence of Marx on Chinese thinkers hardly needs emphasis. The influence in the reverse direction is still nascent, but it is now gathering pace. As little as 30 years ago, there was hardly a course on an Eastern philosophical tradition in any Western philosophy department. In fact, it was common to hear Western philosophers claim that the Eastern traditions were merely religion, mysticism, or simply oracular pronouncements. That view was held by philosophers who had never taken the trouble to engage with any of the texts. Had they read them, with care, they would have realized that the philosophy behind them is clear, once one has learned to see beyond the cultural and stylistic differences. Now, however, many good Western philosophy departments teach at least one course on some Eastern philosophical traditions (at least in the English-speaking world). Good translations of Asian texts are being made by Western philosophers with the appropriate linguistic skills (in the past, translation was firmly in the domain of philologists and scholars of religion). Articles which draw on Eastern ideas are starting to appear in Western philosophy journals. PhD theses are being written comparing Confucius and Aristotle, Buddhist ethics and Stoic ethics, Nyāya and contemporary metaphysical categories. Introductory text books are appearing. There is still a long way to go until the institution of Western philosophy understands that it is just that — Western philosophy. But at least the movement is under way, though it will certainly take time to overcome the current marginalization of the other half. What will happen to Western philosophy when full realization sets in? Of course, if we knew what philosophy was going to emerge, it would already have done so. And predictions in this area are worth little. However, I will venture a theory. We are in the situation that arises when different cultures meet. This has happened before in philosophy. It happened when Greek philosophy met the ideas of the Jewish break-away sect based on the life and death of Yeshua Bar-Yosef. The result was the remarkable development of Christian philosophy. It happened when the ideas of Indian Buddhism came to infuse Chinese thought in the early years of the Common Era. 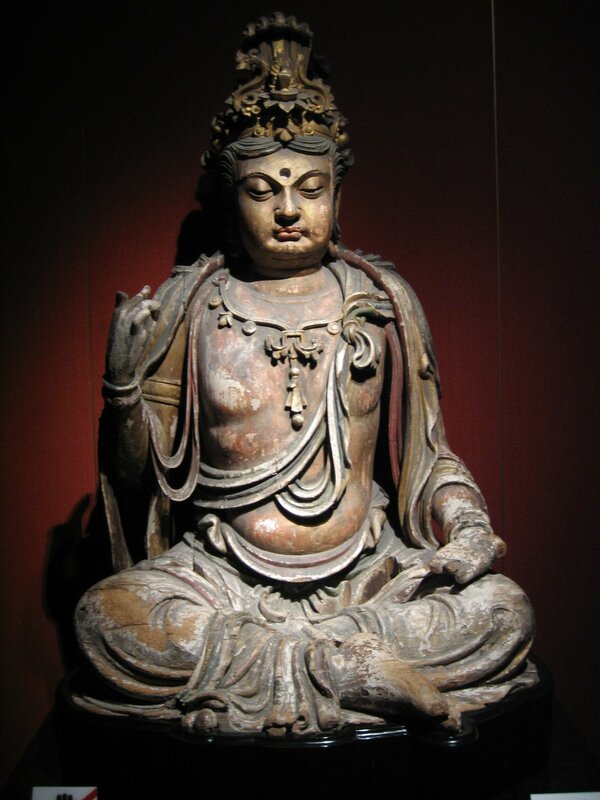 The result was the remarkably distinctive forms of Chinese Buddhisms, such as Chan (Zen). It happened when the new scientific culture which developed in Europe around the Scientific Revolution impacted late Medieval Philosophy, to give us the wealth of Modern Philosophy. I predict that we will witness a similar progressive moment in the present context. Why do these meetings of culture deliver such progress? It is hard to answer this question without talking about what progress in philosophy amounts to. I can only gesture at an answer here. Progress in philosophy is not like progress in science — whatever that is: as philosophers of science know, this is not an easy question either. One way to see this is to note that philosophers still read Plato, Augustine, Hume. No scientist, qua scientist, reads Newton, Darwin, or even Einstein. Nor is this because the philosophers are simply doing the history of philosophy. They read because the texts contain ideas from which one can still learn. Cynics might say that what this shows is that there is no progress in philosophy. I demur. Progress in philosophy certainly arises when we become aware of new problems and new arguments. But old problems of importance rarely go away. Yet even here there is still progress in the depth of our understanding. We see new ways to articulate ideas, new aspects of problems, new possible solutions to them. Now, there are at least two reasons why the impact of a new culture promotes such progress. First, it is a truism that the best way to understand your native tongue is to learn another; and the best way to understand your culture is to become familiar with a radically different one. The contrast throws into prominence things so obvious as to have been invisible. So it is in philosophy. And when these assumptions become visible, they can be scrutinized in the cold hard light of day, to expose any shortcomings. Secondly, there is genuine innovation in philosophy, but it does not arise ex nihilo. Philosophers draw on their philosophical background for ideas, problems, solutions. The more they have to draw on, the greater the scope for creation and innovation. In the same way, when good Western chefs learn about Eastern cuisine (ingredients, preparations, dishes), they do not simply reproduce them — though of course they can do this, and they do. The most creative draw on the Eastern and Western traditions is to produce entirely new dishes. Call this “fusion cuisine” if you like, but the name is not a great one, since what emerges is not simply merging two cuisines, but creating genuinely novel fare. So it is with philosophy. An understanding of Eastern traditions, when added to an understanding of Western traditions will allow creative philosophers to come up with philosophical ideas, questions, problems, which we cannot, as yet, even imagine. Over the last couple of decades, it has been my privilege — and that of a small band of other Western-trained philosophers — to help bring the Asian philosophical traditions to the awareness of Western philosophers. For all of us, I think it is true to say, our own philosophical thinking has been enriched by an understanding of Eastern philosophical traditions. If we can enrich the thinking of our Western philosophical colleagues in the same way, our time will have been well spent. Ordinary Philosophy and its Traveling Philosophy / History of Ideas series is a labor of love and ad-free, entirely supported by patrons and readers like you. Please offer your support today!